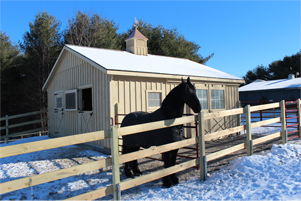 Several styles of horse barns are available ranging from single stall to multiple stalls with tack room, hay storage, and enclosed alley. 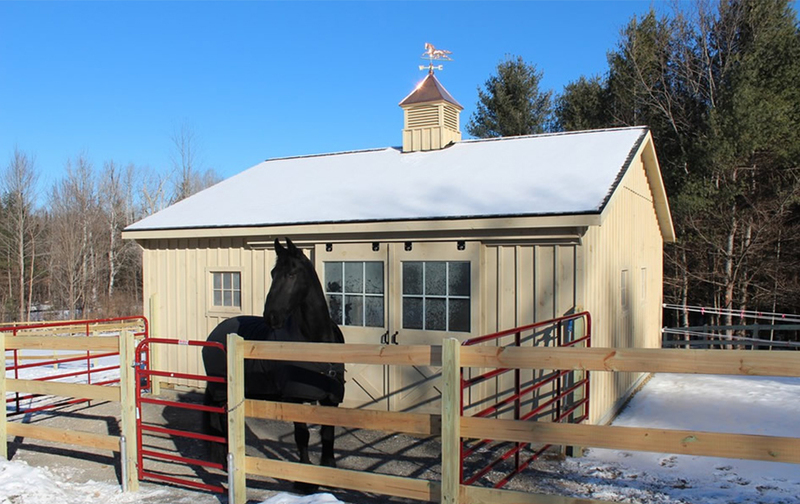 These barns are built for discerning horse owners - and include features such as steel hardware, dutch doors, and oak kickboards on the interior for durability. 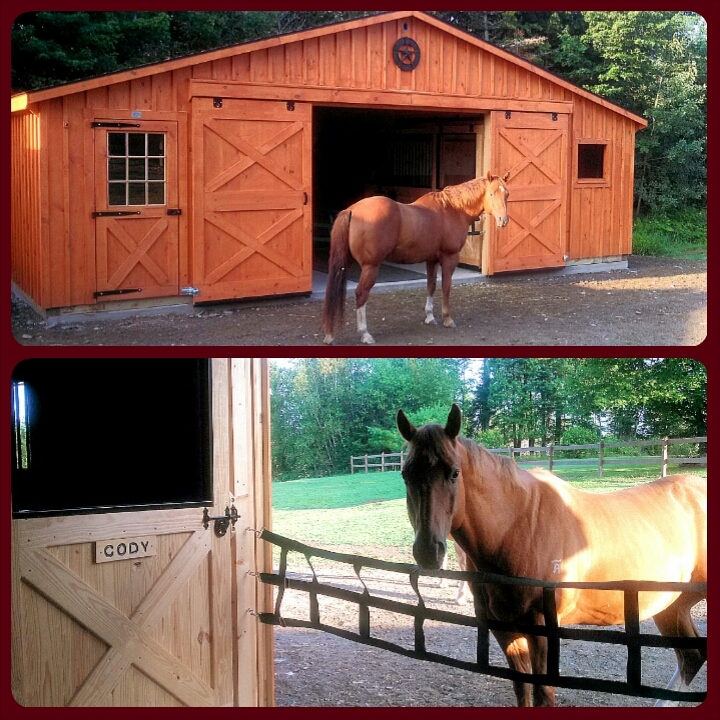 If you're looking for a horse barn that doesn't quite fit into these styles - just ask. 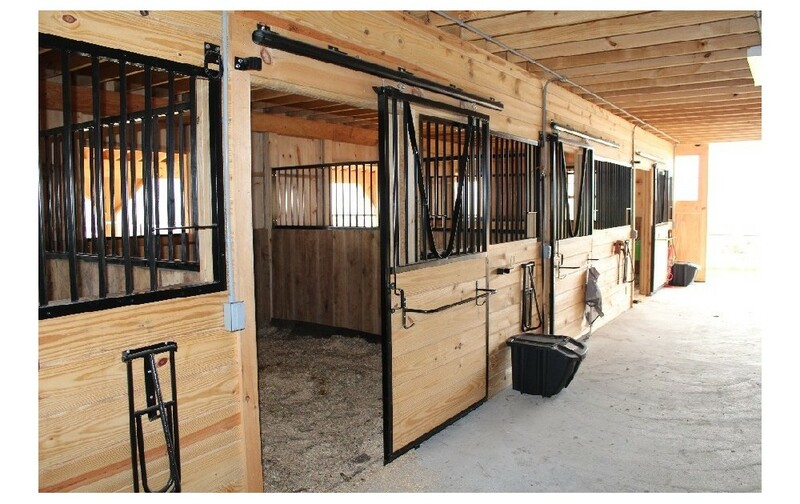 We're able to make adjustments to get your horse into a barn that will be just right for him. 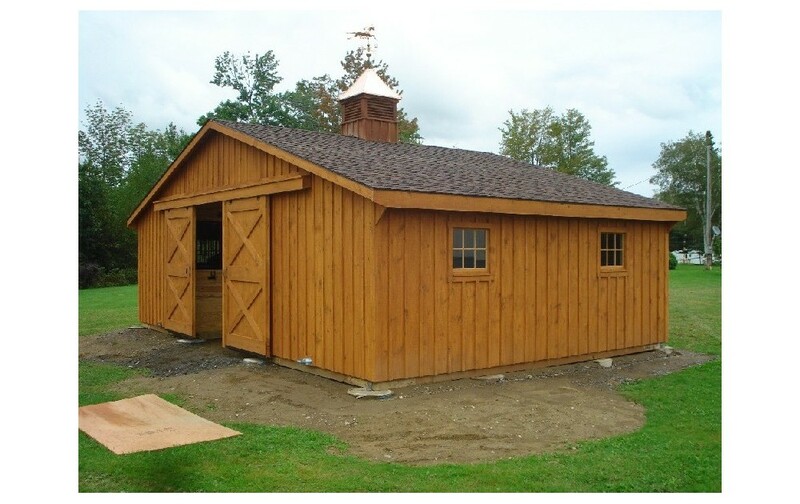 Hill View Mini Barns is able to manage the entire process - from ground work to cupola! Our experienced crews do any on-site assembly that's needed. 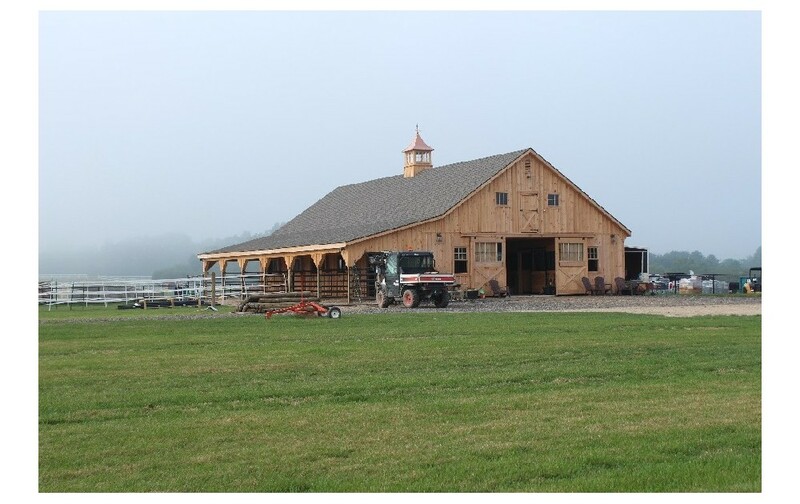 The barns are pre-assembled as much as possible so that any on-site work is kept to a minimum. Our crews are smoke-free, courteous, and (most of the time) just plain fun to be around. Ask for referrels anytime. 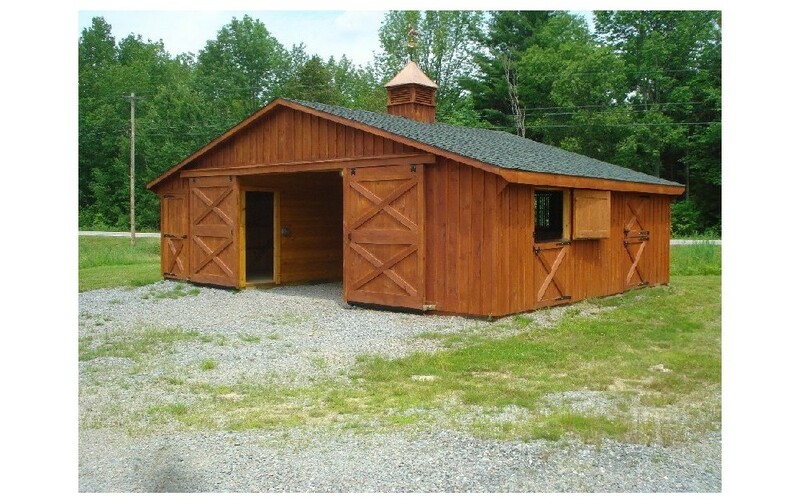 These single wide barns are available in sizes ranging from 10'x10' to 12'x44'. You can order a variety of configurations to meet your animal's needs. 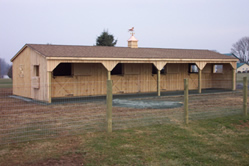 Order with a tack/grain room of the length that you need. Each stall area comes standard with a window with coated metal grill and 4' high kickboard around the perimeter. 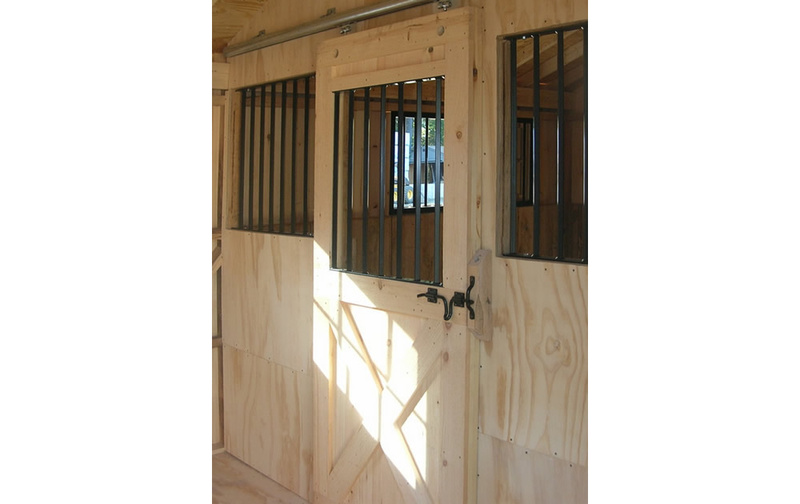 The stall also has a heavy dutch door so that you can keep the top section open for ventilation while keeping your horse secure inside. Heavy pin hinges are also included in the standard pricing. 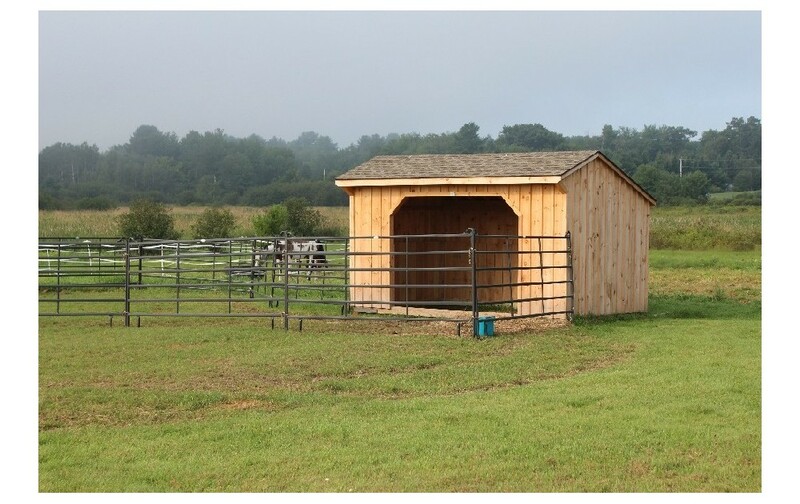 Run-in barns make economical shelters for your animals. 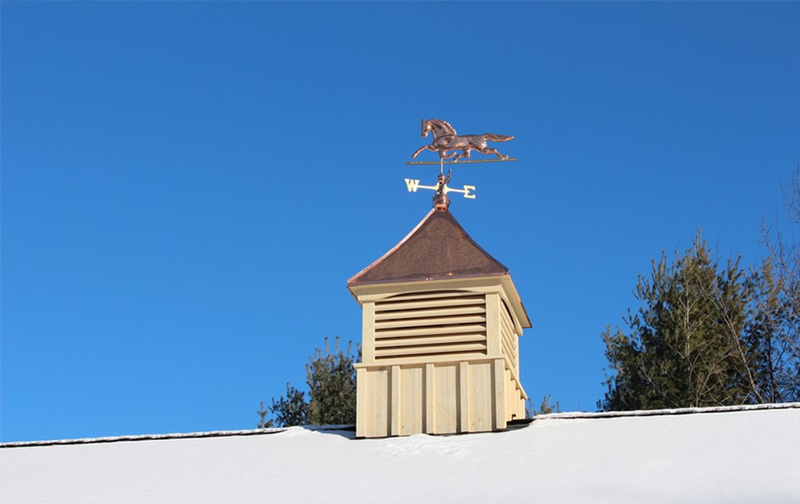 They can be placed in the pasture or next to the main barn to give inexpensive protection from sun, wind, rain, and snow. The smallest is 8'x8' and they are available up to 12'x36'. 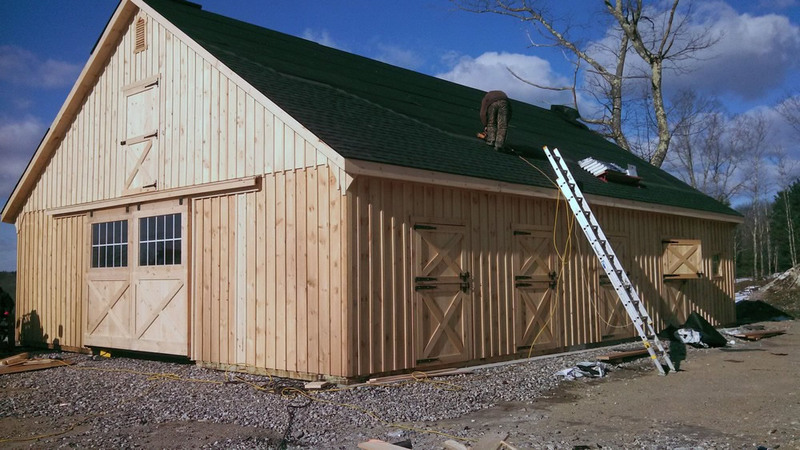 The standard run-in barn comes with pine board and batten siding on the exterior and 30 year architectural shingles for a long, low maintenance life. Add a hay rack for convenient hay feeding or a divider wall to keep some of your animals separated. 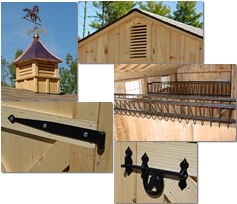 You can also order with a tack room or grain storage room attached. Our sales staff will be glad to provide a free quote so you know exactly what to expect! 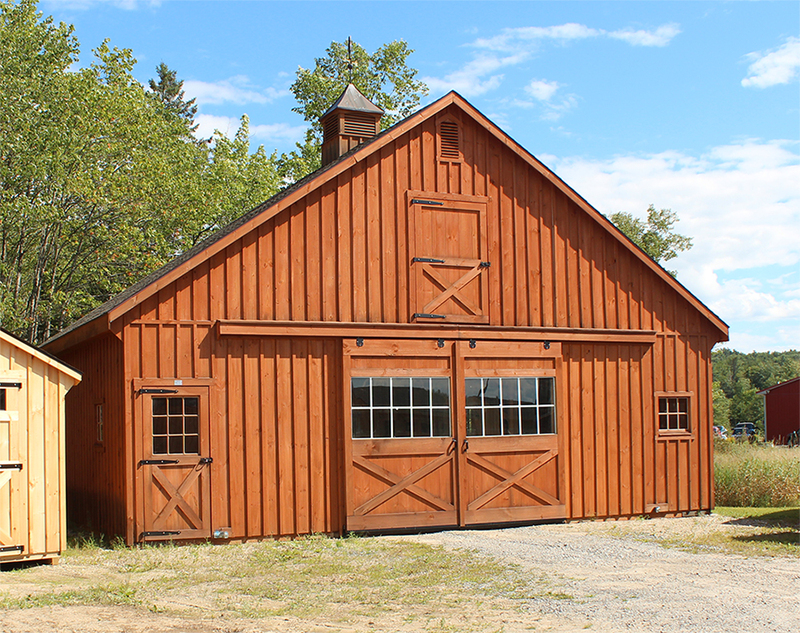 These are the largest of the barns that we offer. They are pre-built and delivered to your location so that there is a minimum of on-site construction. They come with a full hay loft built with a sturdy floor system. 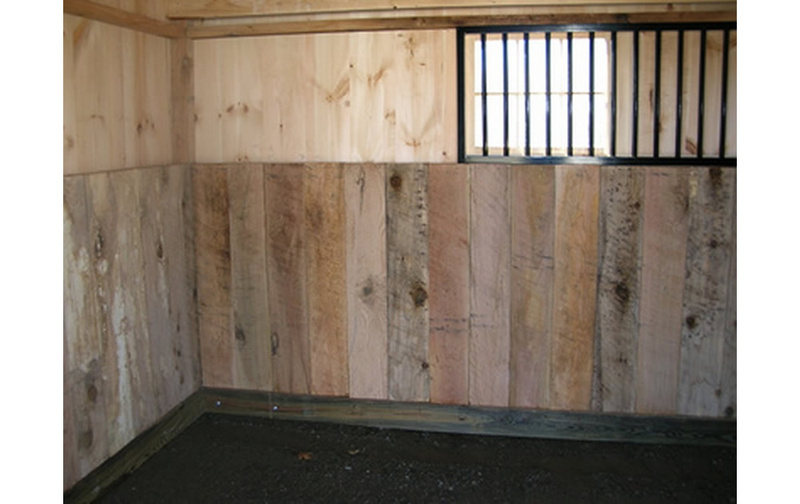 Just like the shed row barns, each stall has a grilled window and 4' oak kickboard on the interior. The stalls open to the center alley with a grilled roll door to maximize useable space. Some of the options available are wash rooms, cupola with weather vane, exterior stall dutch doors, tack rooms, and pine storage cabinets. 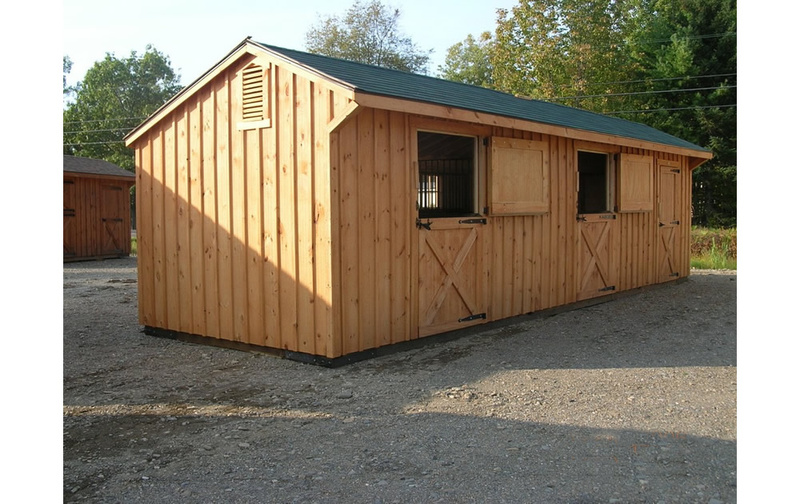 Choose from the four stall 30' wide x 20' long barn, the large 36'x48' or any size in between. We're also able to "supersize" by building two barns end to end! Call one of our experienced sales staff to get more details and a free estimate. 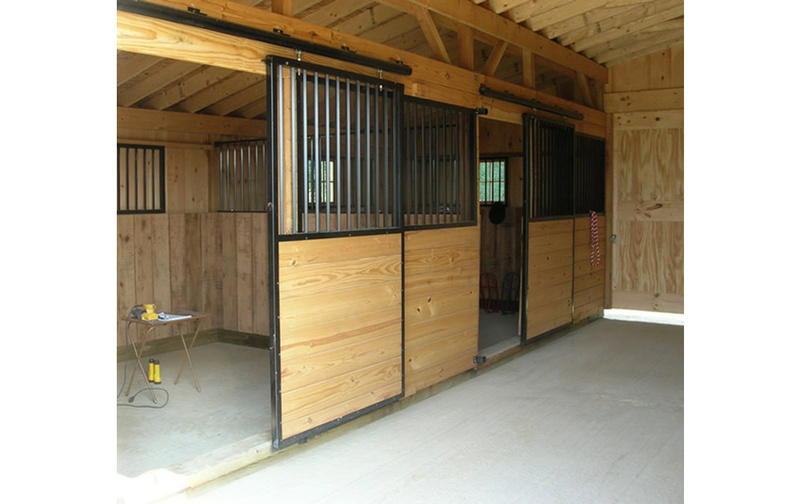 Click here for more details on the monitor style horse barns. 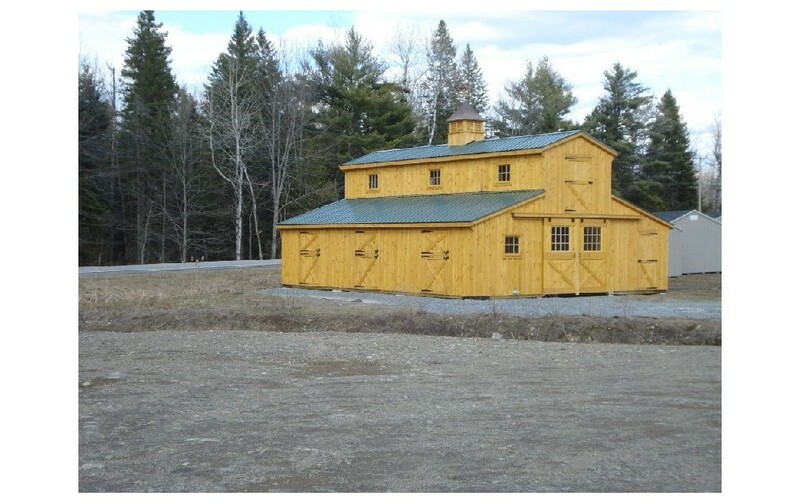 These double wide barns are available in three different styles- the economical Trailside with no loft, the High Country with a hay loft, or the Lancaster. 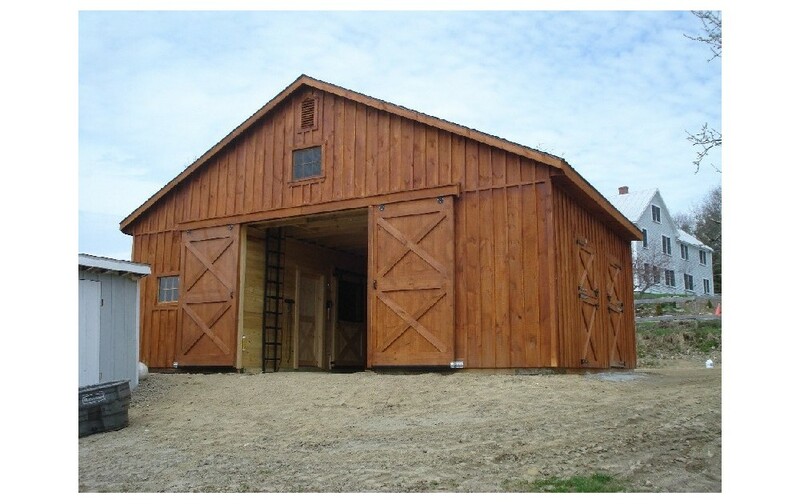 These modular barns are available in sizes ranging from 30'x20' to 36'x48'. 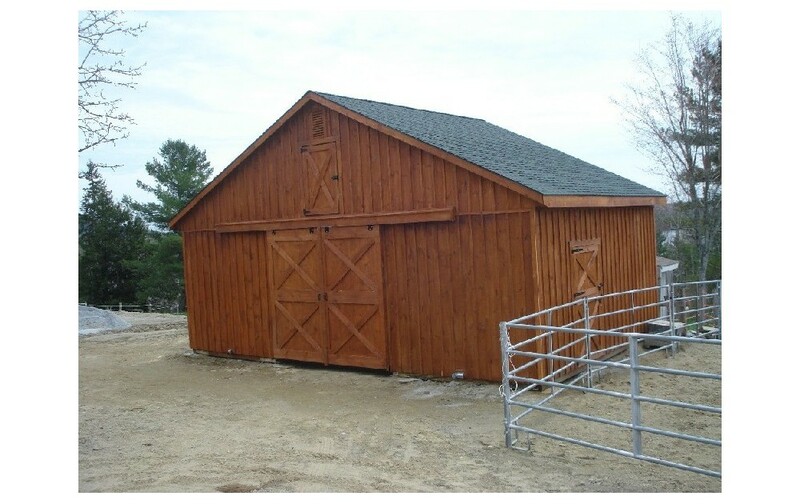 They have the same features as our other barns and have a complete line of options available to truly customize your barn. The enclosed center aisle gives a nice space for grooming, shoeing, or general tacking. 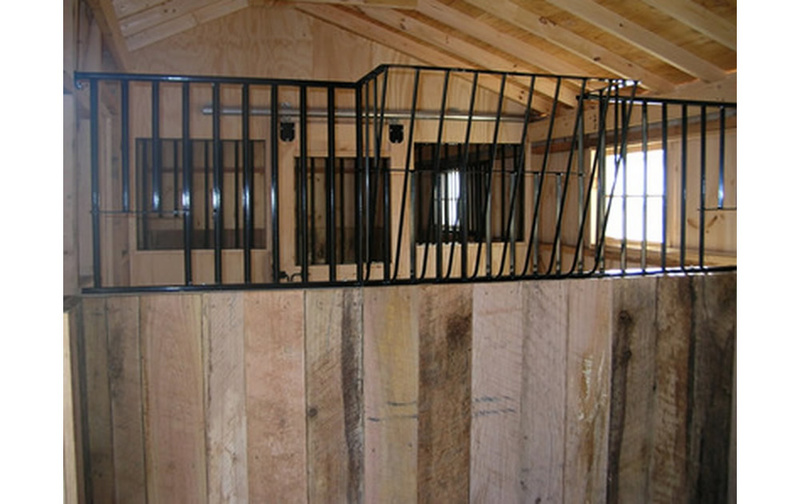 The hay loft gives you convenient and dry storage for winter feeding. We've taken the standard shed row and added a lean-to roof! 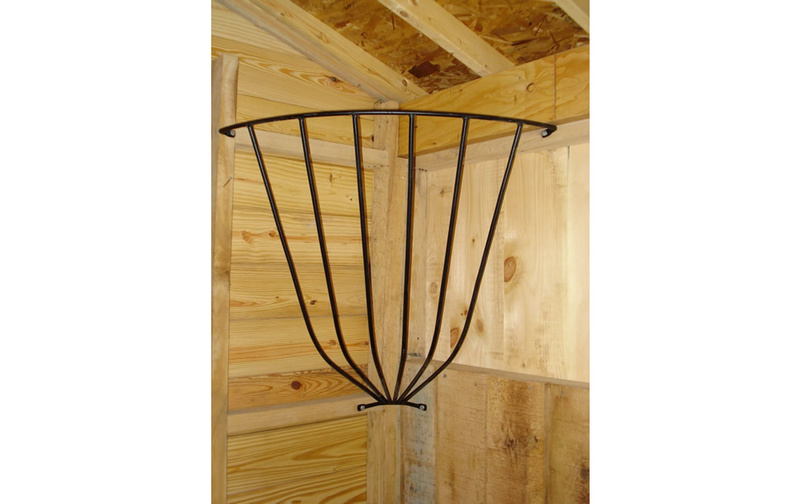 This gives protection from rain, snow, and sun allowing you to care for your horse while staying comfortable. 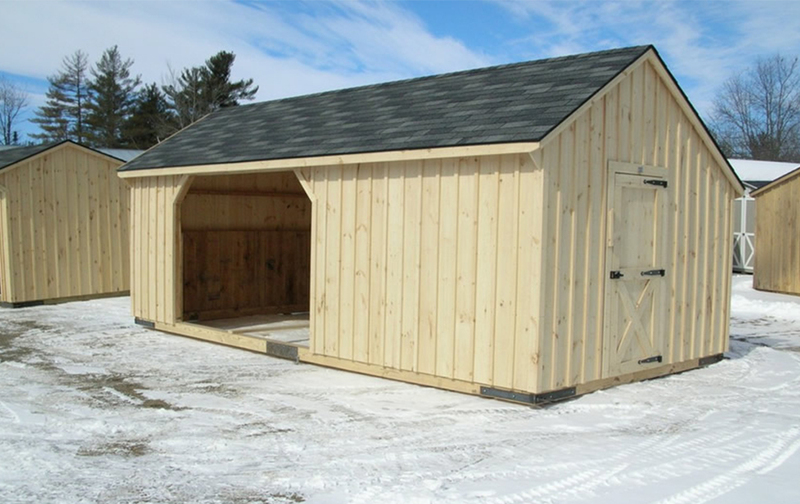 The hinged lean-to roof is available in 8' or 10' width. 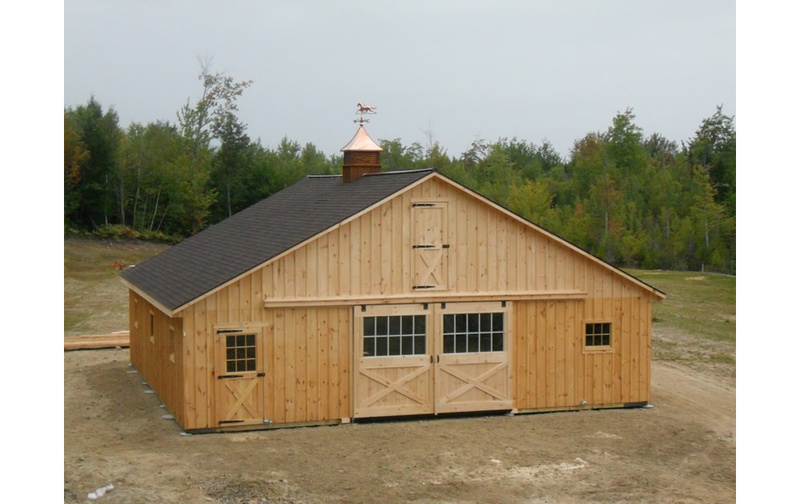 If you'd like to add your own lean-to you can order a basic barn with a simple shed roof. Each stall has a grilled window and dutch door. If you get a storage room attached, it has a sliding window, pine entrance door, and wood floor. 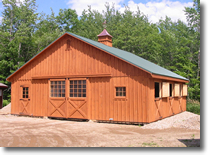 The lean-to barns are available in sizes from 10'x10' to 12'x48'. They are delivered completely assembled in most cases and require only minimal finishing touches- which we provide. 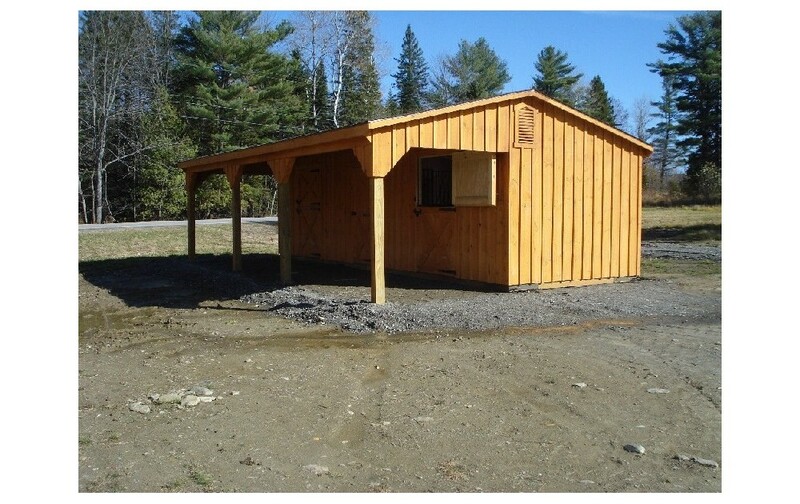 The lean-to barn is installed on customer supplied piers and gravel. Please call or email for more information. For prices and more information, click here! If you're looking for an affordable shelter for your horse or horses, this is the right solution. 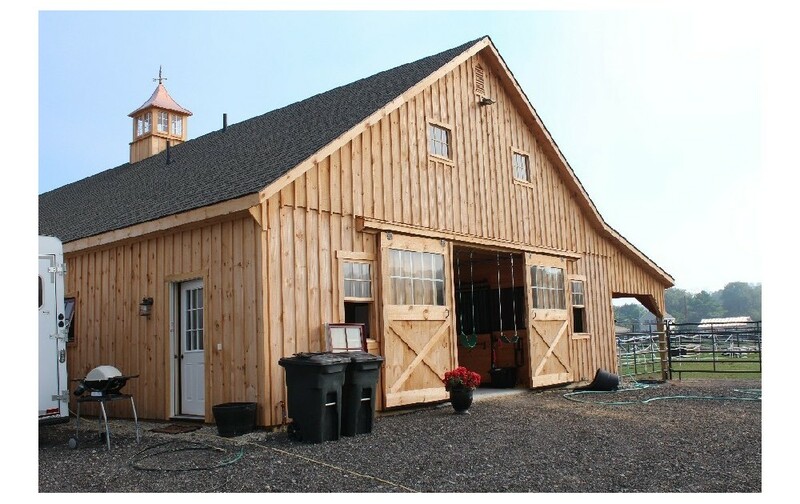 Why pay someone to board your horse when you could own one of these barns? Built with solid pine board and batten siding, oak half-walls on the interior, and oversized steel hardware, they're beautiful as well as functional. Your horse will be comfortable and sheltered from the weather. 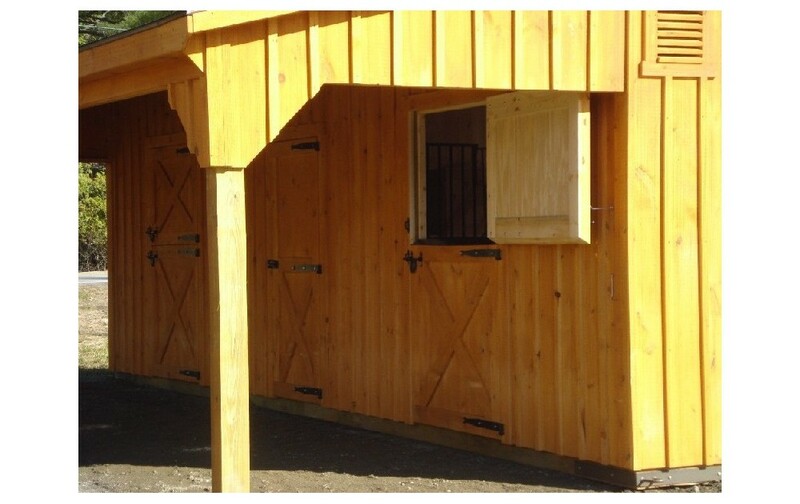 They are offered in a variety of sizes- open or enclosed with tack/storage/feed room. 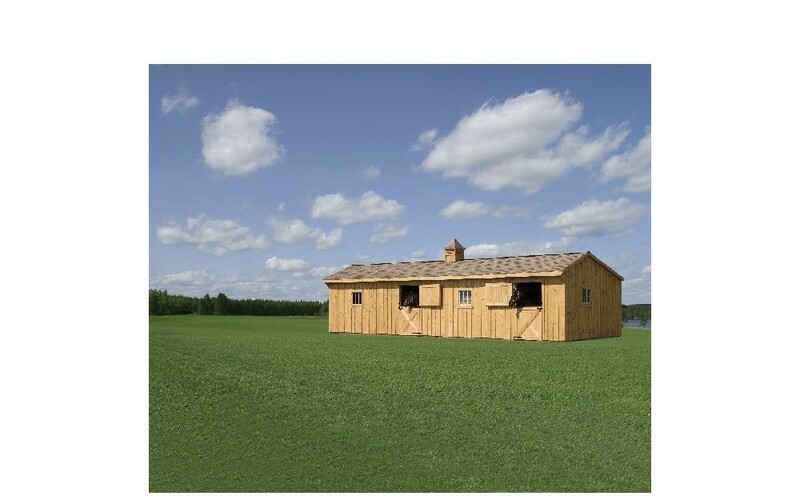 Hill View Mini Barns is a dealer for these sturdy, Amish-built barns. Come visit to experience how horse-ready they are! Call 1-207-269-2800 for pricing information delivered to your area.